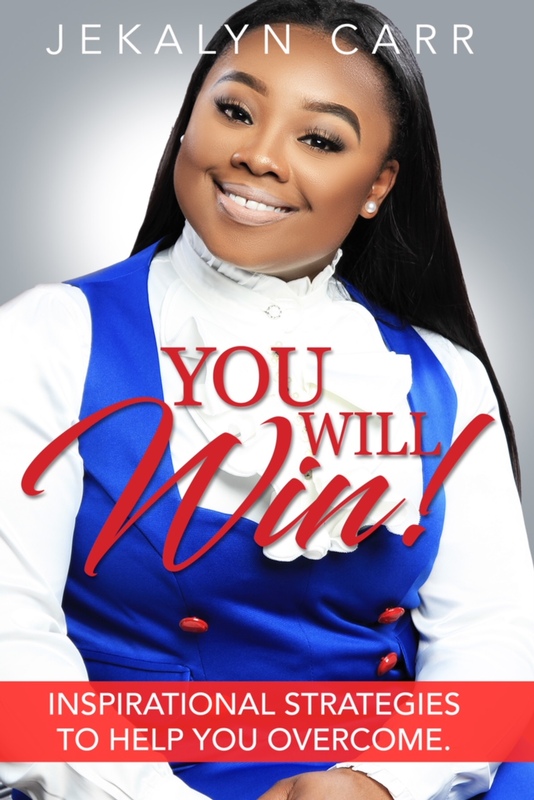 Motivational Speaker & Grammy Nominated Singer Jekalyn Carr is a Powerful Millennial Using Her Voice to Lead Change With New Book "You Will Win!" With so many young people leading movements and speaking truth to power, it is not hard to believe that at just 20 years old, Jekalyn Carr is an experienced motivational speaker and new author, leading her peers to their best lives. Jekalyn, a Grammy nominated singer, has led a winning life since the age of 13, when she began sharing her motivational words with audiences nationwide. In her first book, “You Will Win! : Inspirational Strategies to Help You Overcome,” she offers readers inspirational messages to help them conquer their storms, live in victory and maintain a winning attitude. Based around 14 principles to follow and apply along the path to winning, this book calls for readers to have Intent, Faith, Patience, Perception and more, to become a winner. She also offers 7 ways to win and 12 habits for a win. The book is now available for pre-order everywhere books are sold. To take the message of the song a step further, Jekalyn wrote her latest hit single of the same title, “You Will Win!” The single has done amazingly well, reaching #1 on Billboard’s Gospel Airplay chart and remaining #1 for 6 weeks in a row. Copyright © 2018 Strategic Heights Media, All rights reserved. Labels: author, BOOK, Motivational Speaker & Grammy Nominated Singer Jekalyn Carr is a Powerful Millennial Using Her Voice to Lead Change, With New Book "You Will Win!" Florida may be bright and sunny, but its criminals are dark and twisted. Felonious Florida, the newest series from podcast tastemaker Wondery, recounts Florida’s strangest crimes. From a brutal home invasion caught entirely on videotape to a child killer roaming the Boca Raton Mall, these unsolved crimes cast a dark shadow on the Sunshine State. Felonious Florida launches on April 3: it’ll be the newest in a string of successful podcasts from Wondery, which include Dirty John, Young Charlie, American History Tellers, and Business Wars. Wondery has gained massive critical and commercial success for its immersive approach to sound and storytelling: it just raised $5 million in its Series A funding round. By combining in-depth reporting with immersive audio, Felonious Florida is sure to become the true-crime thrill of 2018. We’d like to offer you an interview with the podcast’s host, veteran Sun Sentinel reporter Lisa Arthur, as well as an exclusive preview of the series’ first episodes. It has been a busy month here at The Conservation Center and we can't wait to share it with you! 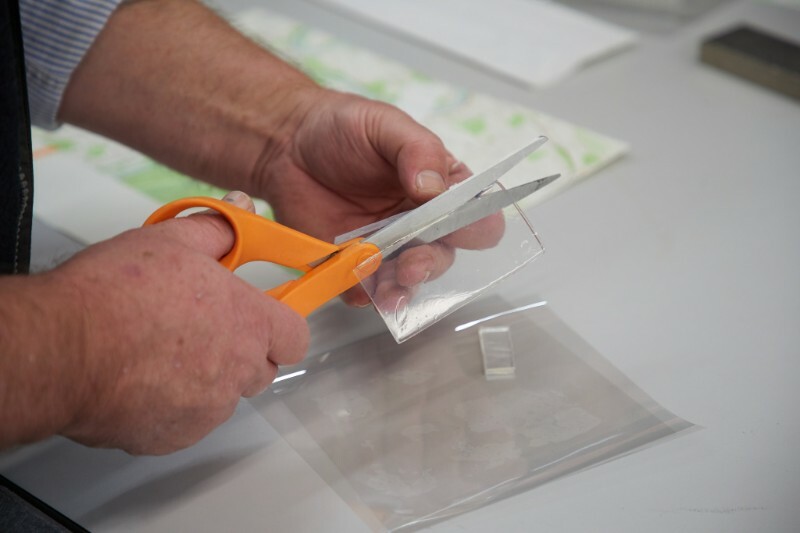 First, we will fondly recap the Chicago Area Conservation Group's Gellan Gum Mini-Workshop that was held at The Center this month. 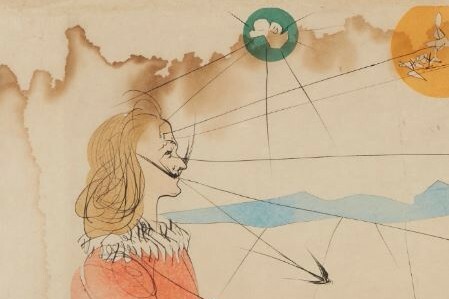 Next, we'll focus on our Paper Department's treatment of a water-stained Salvador Dali lithograph. Lastly, we'll investigate the inner workings of the warehouse and what steps our staff take in order to keep pieces organized. 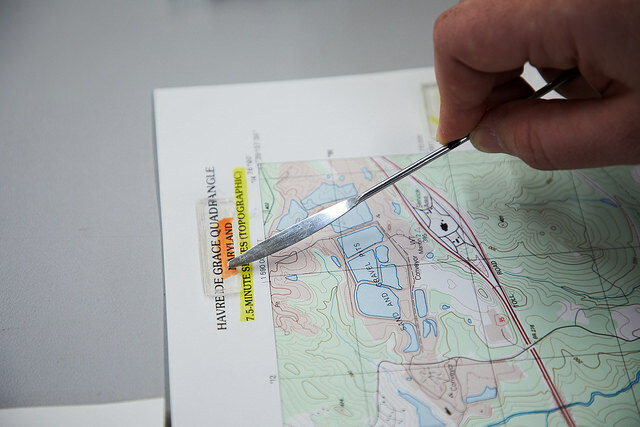 The Conservation Center is always eager to study new methods of treating objects and learn about other advancements in the field. 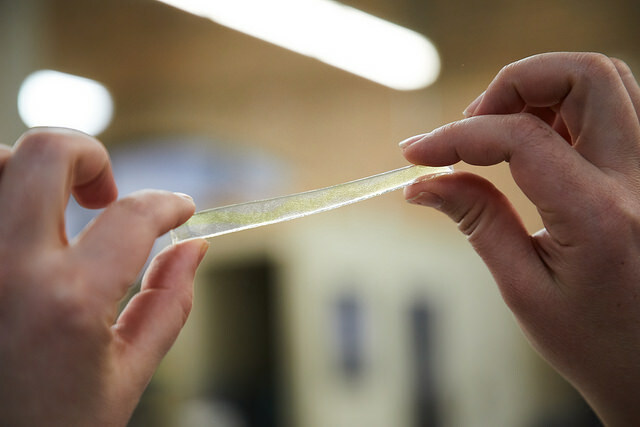 That is why we were honored to host the Chicago Area Conservation Group’s Gellan Gum Mini-Workshop on March 13th. Northwestern University's Special Collections Conservator, Susan Russick, led the evening with an introductory presentation, tutorials, and a hands-on workshop. Although he is widely recognized for his paintings, Dalí completed a number of series of lithographs and etchings. 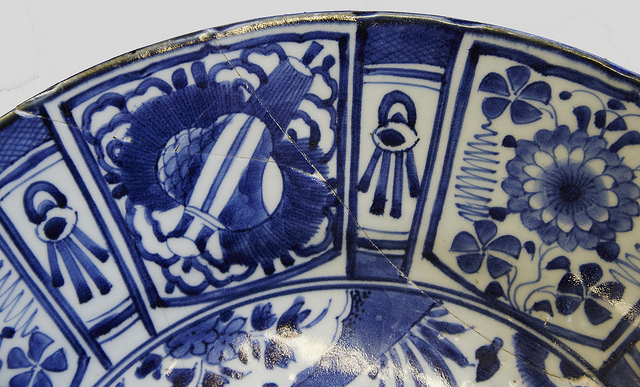 When one of these works came to The Center for care, we were excited to treat such a special piece. 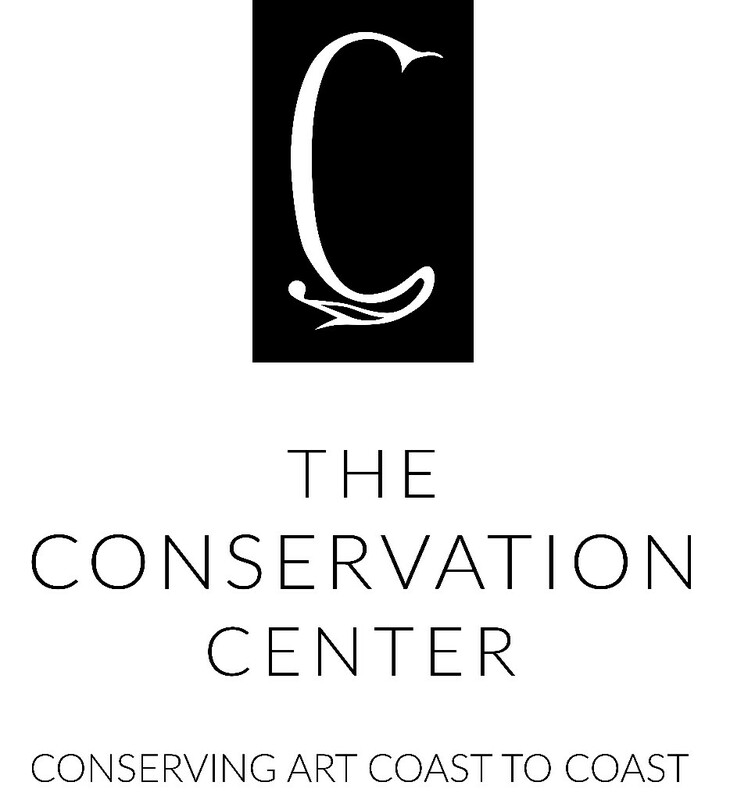 The Conservation Center is the largest and most comprehensive private art conservation laboratory in the country. 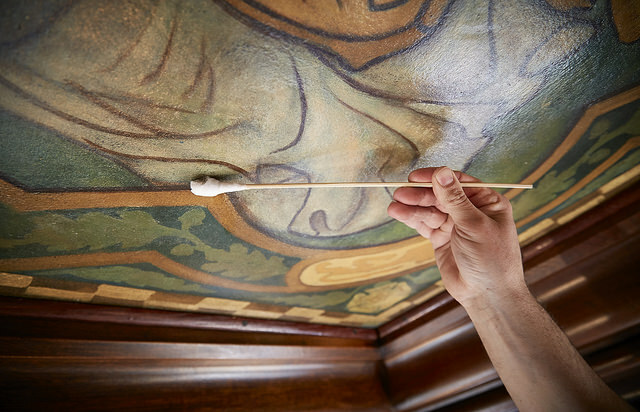 With 35 years of experience, The Center is a leader in the field of art preservation, evolving new treatments and methods to adapt to the rapidly-changing art world. 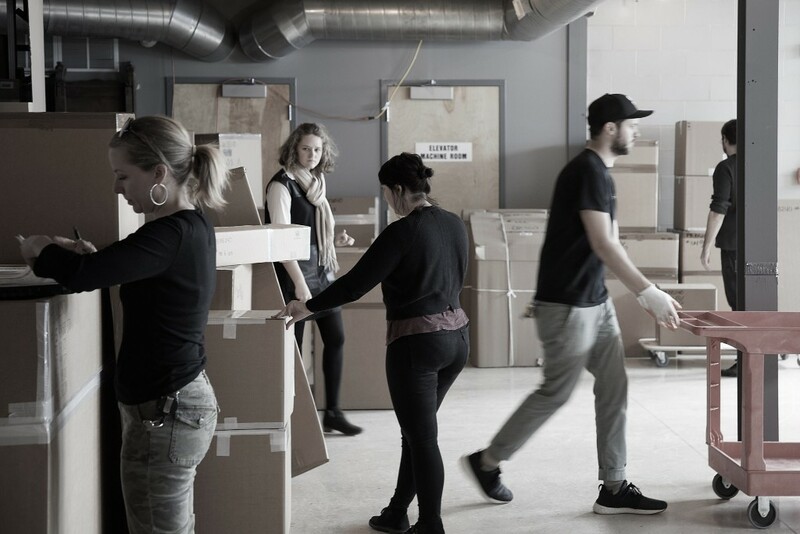 We have cared for fine art from some of the country’s most prestigious private collections, museums, galleries, insurance companies, and corporations. Copyright © 2018 The Conservation Center, All rights reserved. Growing older is inevitable, but many of the afflictions associated with old age—including dementia, disability and increased dependence on others—don't have to be. So if you could, would you choose to break the mold of aging? Psychiatrist and international speaker Timothy R. Jennings, M.D., may have some insights. Dr. Jennings prescribes simple, everyday actions we all can take to stave off disease, promote vitality, and prevent dementia and late-onset Alzheimer's. "The choices we make now can help us to keep our minds sharp and maintain our independence as we age,” says Jennings. With Tax Day on April 17, here is a survey that reveals the majority of Americans are fiercely independent when it comes to taxes — but they shouldn't be. >> Nearly 70% of Americans file their own taxes—but 45% of Americans have no idea how the new tax bill will affect them. To conduct the Pollfish Tax Day Survey, the researchers at Pollfish [http://www.pollfish.com]—the world’s leading mobile survey platform that successfully predicted the PA18 race by 1%)—asked 1,000 Americans about how they plan to file taxes. Only 36% of Americans hire an accountant—16% fill out the forms themselves while 48% use a tax software. 58% of Americans haven't filed yet but will do so before the 17th. However, 1 in 5 wait to mail their taxes until April 17! Only 20% of Americans say they're very familiar with Trump's 2017 tax reform. 31% don't even know if the Act affects them, while 14% say they aren't familiar with the Act at all. Q: How likely are you to recommend using this company to a friend or colleague? Limited Tickets Remaining for April 3! Join us on Tuesday, April 3 to celebrate Chicago icon Kartemquin Films! This special double feature will showcase both of their 2018 Academy Award® Nominated films. Our Producers Panel this month is A Documentary Discussion with Kartemquin Films, featuring Karemquin producer Mark Mitten (Abacus: Small Enough to Jail) and executive producer Betsy Steinberg (Edith+Eddie and Abacus Small Enough to Jail). ﻿The panel will be moderated by journalist Amy Guth (WGN Radio broadcaster and documentary filmmaker). Q&A with Abacus Director Steve James and producer Mark Mitten following the films. Click here for more about the films, trailers, panelists and more! An in depth discussion about documentary filmmaking with Kartemquin Films producer Mark Mitten (Abacus: Small Enough to Jail) and executive producer Betsy Steinberg (Edith+Eddie and Abacus: Small Enough to Jail). Moderated by journalist Amy Guth (WGN Radio broadcaster and documentary filmmaker). VER Camera is a high-end camera and lens rental house featuring digital cameras. Highlights are ALEXA, AMIRA, F55 Hawk & Cooke Anamorphic lenses. Reserve your seat before they're gone! Support the Midwest Independent Film Festival with a donation and help us continue our mission to celebrate and strengthen the Midwest filmmaking community. Photos from Midwest Shorts Night at The Midwest Independent Film Festival! ﻿Educo's digital design and marketing firm produces goal-oriented websites that are as measurable as they are visually appealing. Their professional team of digital marketers loves using creativity, technology, and metrics to build scalable, measurable, and content manageable sales tools. 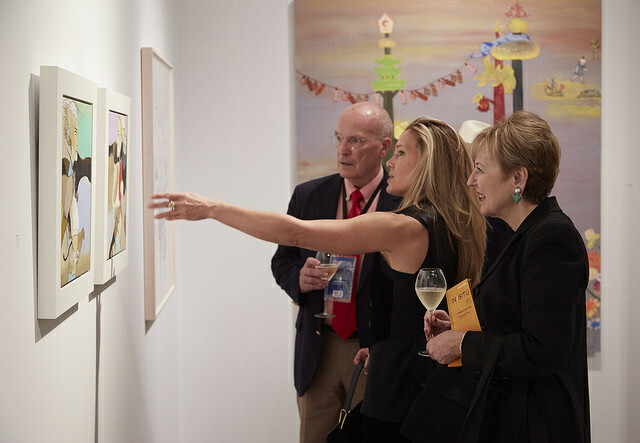 ﻿Illinois Arts Council, which receives funds from the National Endowment for the Arts.